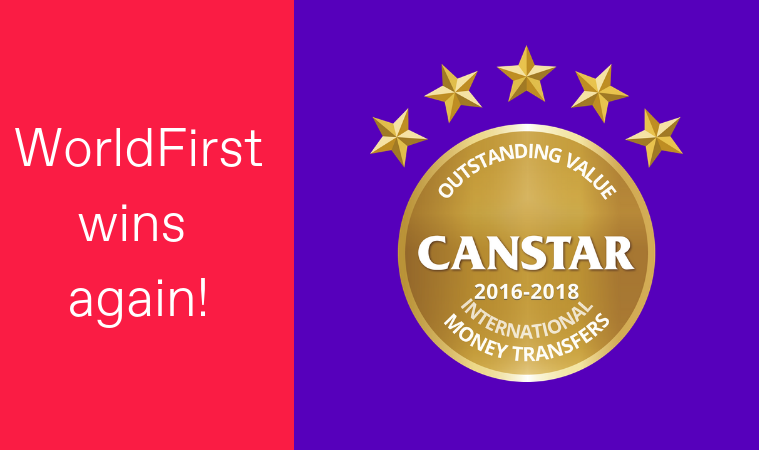 WorldFirst are extremely excited to receive the Canstar award for Outstanding Value in International Money Transfers, for the third year in a row! The 5-star award was announced in Canstar’s annual ratings for ‘International Money Transfers’, in the Australian market. In the consumer market, WorldFirst helps people with their international payments and transfers for reasons like planning destination weddings, buying houses or personal effects overseas, setting up new lives abroad, paying off loans and mortgages somewhere else in the world or moving their salary back into the country. Each provider reviewed for the Canstar International Money Transfer star ratings is awarded points for its comparative pricing and for the array of positive features attached to the product. These features include the availability of facilities, coverage on currencies and consumer resources available. “We are extremely thrilled to, once again, receive the award for Outstanding Value from Canstar. 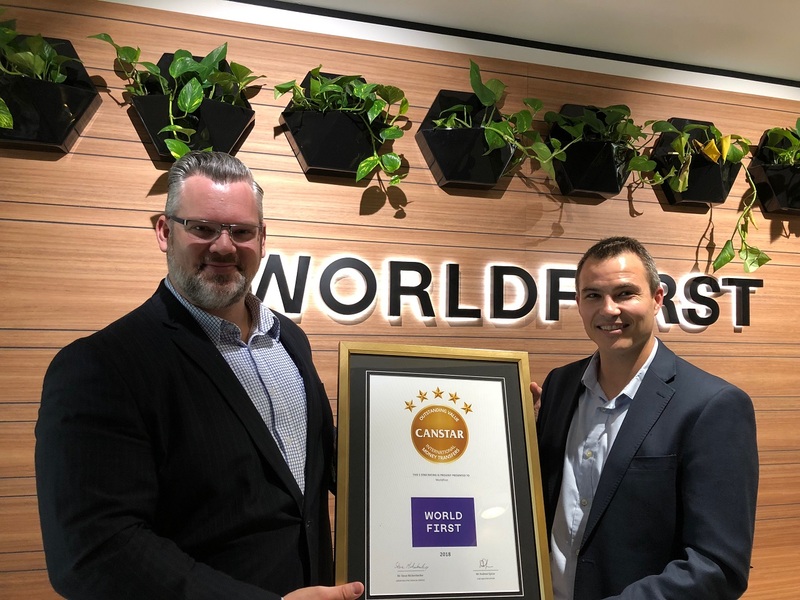 To be rated 5 stars, three years running, is a real testament to what we do and how we do it,” said Ray Ridgeway, Managing Director at WorldFirst Australia.